Bright flowers and a cheerful note are always nice to receive when you’re feeling under the weather. 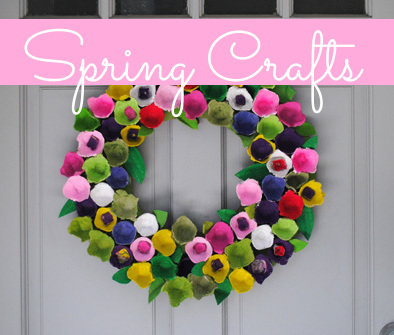 Today’s project includes sunny colors and a fun way to create a “container” for your flowers. 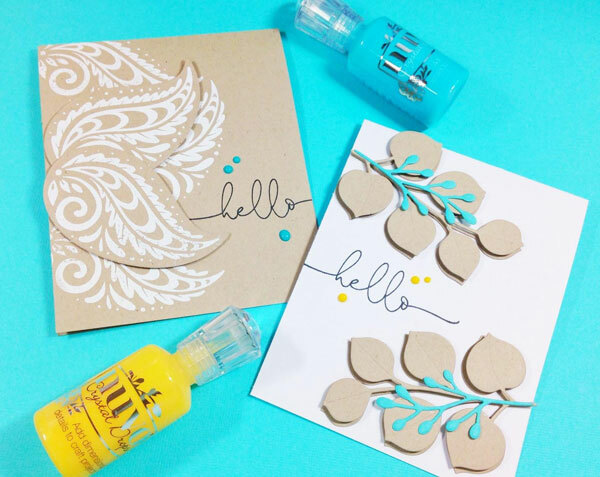 This entry was posted in Cardmaking, Rubber Stamping and tagged Card Making, Cardmaking, embossing, Get Well Card, Nuvo Drops, Stamping on April 14, 2019 by Heidi. 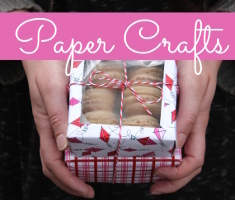 I like to keep it simple when it comes to gift wrap and gift bags. 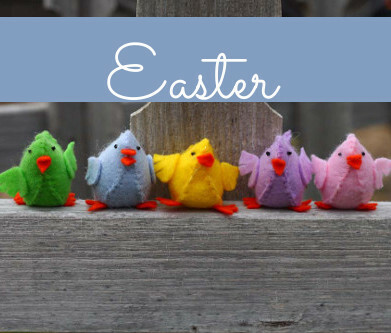 I mainly have kraft colored and white options and dress them up with ribbon or other embellishments I have in my craft room. I recently discovered another great option for decorating packages. For today’s project, I created some pretty floral pieces using a die set from Sizzix/David Tutera called Lace Flower Framlits. 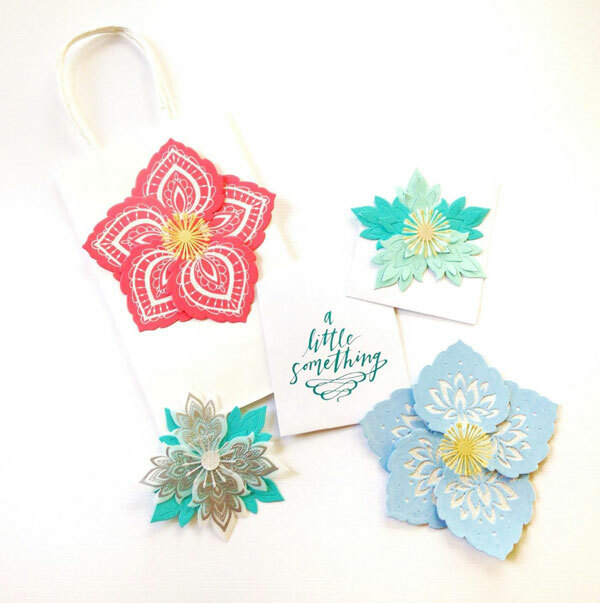 This entry was posted in Paper Crafts, Rubber Stamping and tagged Die Cutting, embossing, Rubber Stamping, Sizzix, Stamping on March 23, 2019 by Heidi. Hi Everyone! I’m back today with a project I made using a sketch as a jumpstart. I’ve spoken in a previous post about how I love to use sketches as a starting point, especially if I have a new stamp set that I want to try. 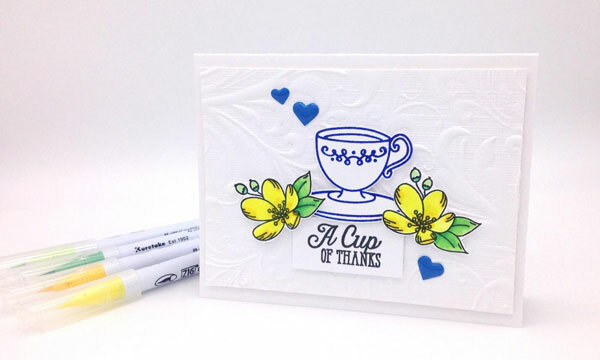 This entry was posted in Cardmaking, Crafts, Paper Crafts, Rubber Stamping and tagged embossing, Rubber Stamping, Stamping, Thank You Card on March 13, 2019 by Heidi. I have a lot of greenery-themed stamps in my collection. I love them because they are timeless and add the perfect accent to flowers or stand alone with an elegant sentiment. 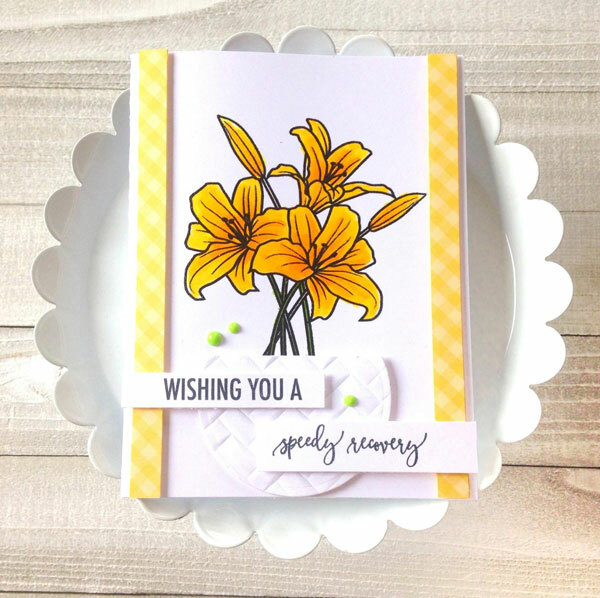 This entry was posted in Cardmaking and tagged All-Occasions Cards, Card Making, Die Cutting, Rubber Stamping, Sizzix, Stamping on March 10, 2019 by Heidi. I have been having a lot of fun experimenting with my Tonic Traditional Layering Heart dies lately. I just love their plump shape and how they fit together so nicely. 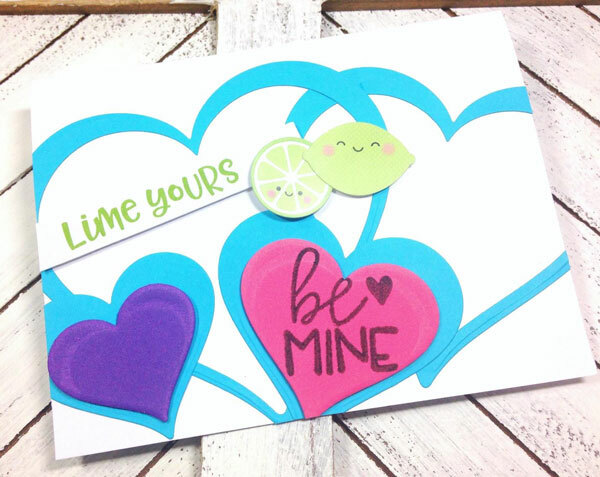 This entry was posted in Cardmaking, Rubber Stamping, Valentine's Day and tagged Card Making, Clear Stamps, DIY Valentine, Rubber Stamping, Stamping, Valentine's Card, Valentine's Cards, Valentine's Day Card on February 10, 2019 by Heidi. Valentine’s Day cards are all about various shades of pink and red. For my card today, I’ll show you a layering technique I used with these pretty colors over dry embossing using a DIY stencil. This entry was posted in Cardmaking, Rubber Stamping, Valentine's Day and tagged Die Cutting, Dry Embossing, Rubber Stamping, Stamping, Valentine, Valentine's Card, Valentine's Day, Valentine's Day Card on February 6, 2019 by Heidi. Valentine’s Day is for couples to show their love and sometimes even an engagement ring. 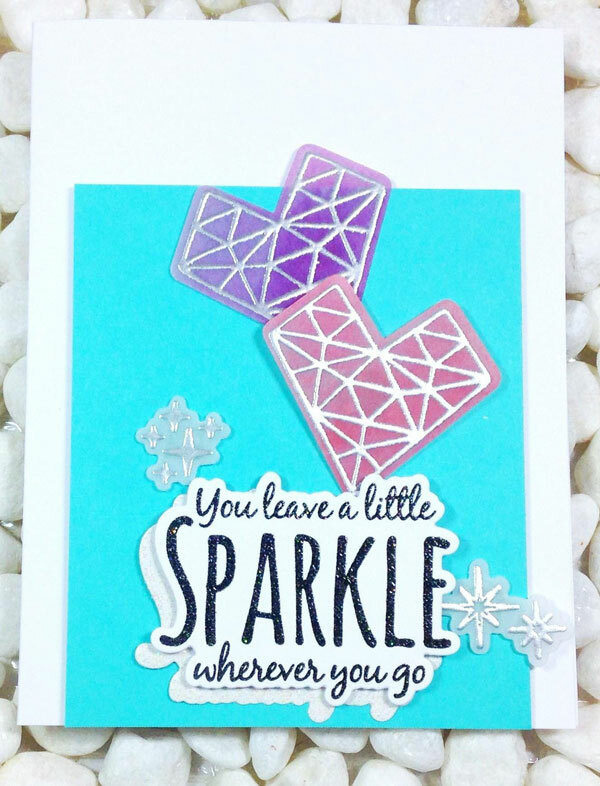 I created this project today using the Sizzix Sparkle die and stamp set from Jen Long. It has a modern style heart with lots of sparkly additions. 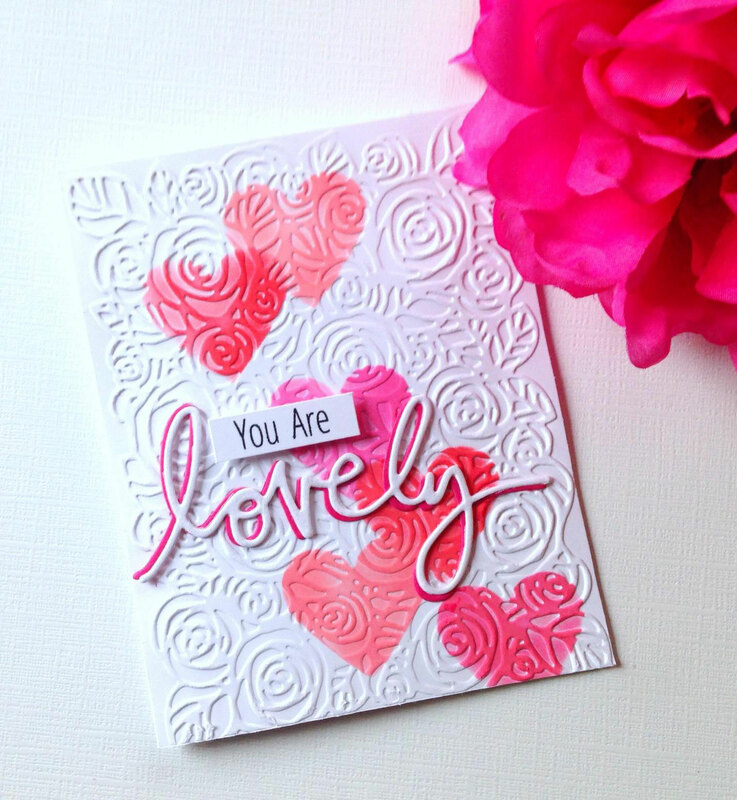 This entry was posted in Cardmaking, Rubber Stamping, Valentine's Day and tagged All-Occasions Cards, Card Making, Cardmaking, Die Cutting, embossing, Heat Embossing, Rubber Stamping, Sizzix Dies, Stamping, Valentine's Card on February 3, 2019 by Heidi.